Overall, are you getting the results and profits from your Human Capital that you want? Do you feel like a dog chasing it's tail? Do you feel like there are a lot of unintended consequences to what you are doing for your employees? Are these consequences due to conflicts within your strategy? Do you need help putting all of this together? 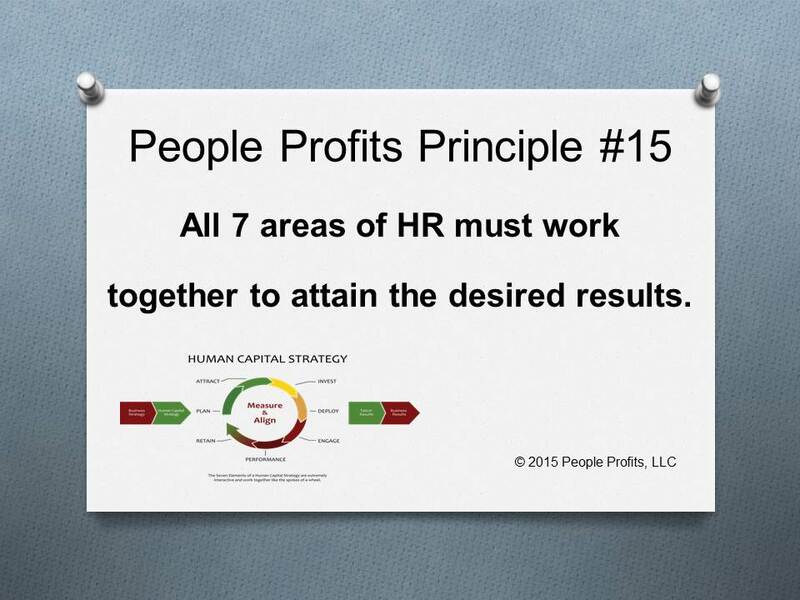 There are seven areas of HR: Plan, Recruit, Invest, Deploy, Evaluate, Engage and Retain. All of the Strategies and Plans must align with the overall Human Capital Strategy and with each other to attain the desired results. Most companies have multiple conflicts and that is why they don't achieve the desired results.